Local Link, LLC, a sister company to Silverthorn Farm Inc., is proud to partner with other local farms in order to provide our clients with a wide range of high quality food items for their businesses. The goal of Local Link is to create a viable market opportunity for our partner farms while giving our restaurant and grocery clients greater access to Indiana's incredibly diverse artisanal foods produced by our local, small farms. Partner farms must meet our high standards of food safety and production practices in order to participate. We distribute our partner farms' products to the Indianapolis area twice a week. 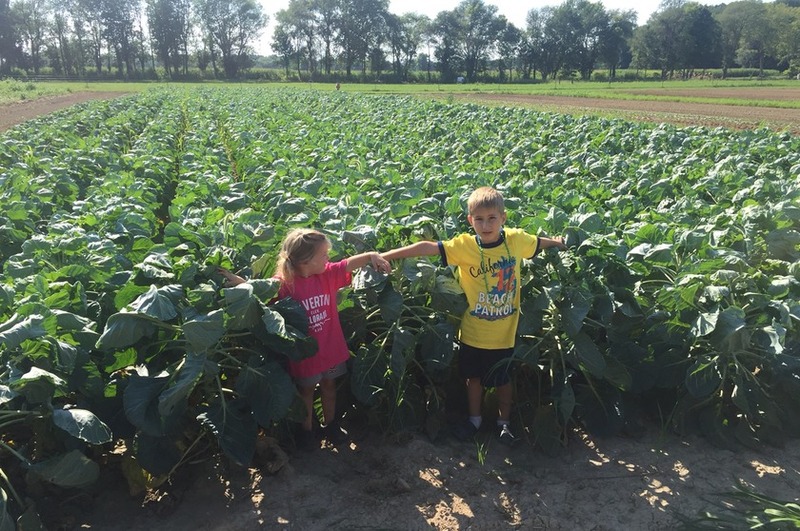 Products Overview: OUR PARTNER FARMS SILVERTHORN FARM, INC: Silverthorn Farm, owned and operated by Nate & Emily Parks, is a small, diversified vegetable and small animal farm located on 120 acres of land in northern Clinton county, near Rossville. In 2006, the farm became a farm in Montgomery County beginning with only pumpkins and melons the first two years on about 5 acres of land. Now, more than 40 different types of vegetables with 200+ varieties are grown on 25 acres of vegetable production. GOLD CROP NUTRITION: Gold Crop Nutrition is a farm in Converse, IN that specializes in growing and harvesting oil seed crops such as sunflower, non-GMO canola and non-GMO soybean. These crops are sustainably grown, cold-pressed, and bottled directly on the farm. They utilize a unique high speed centrifuge filtration process and high efficiency cold press machines designed in house. The result is oils of superior flavor and quality. They are also free of preservatives and antifoaming agents. GOLD RUN SORGHUM: Gold Run Sorghum is an Amish owned farm in Camden, IN. They produce sorghum using organic production practices and boil it down into syrup using time honored methods without electricity. NEXT MISSION HOMESTEAD: Next Mission Homestead is a small, diversified permaculture farm in northwest Howard County, specializing in heritage breed pasture raised chicken. Also available are seasonal wildcrafted food items such as wild mushrooms. S&S WHITETAIL SALES: S&S Whitetail deer are pasture raised and supplemented with a natural non-GMO grain diet equivalent to what they would find if they lived in the perfect whitetail environment. They strive to raise the highest quality venison. All of their deer are born and raised in the great state of Indiana, NOT imported as 60/70% of venison products. The daily care and animal husbandry at S&S Whitetail farms and its other producers is done in a manner where the environment is absolutely stress free. This ensures their product to be boldly different from other venison products in taste and quality.